My belief is that films should teach you something, inspire you to something, or make you feel something, passionately. 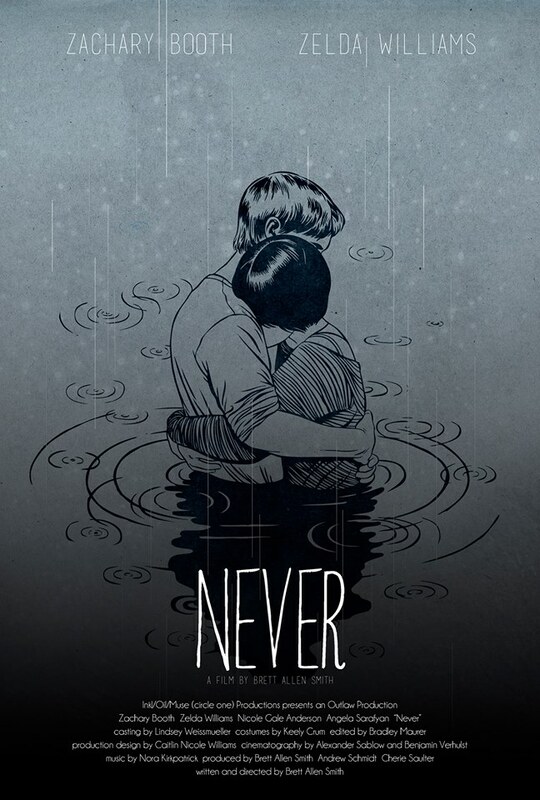 NEVER is a quiet little film that meanders slowly along until the final, heartbreaking, REAL end. It’s a feeling that young people will totally get, and that older people should remember, but it’s not sappy and it’s not a fairy tale. Nikki (Zelda Williams) is a young, struggling musician in Seattle, and is not taking the breakup with her girlfriend well. She soon meets Denim (Zachary Booth), an awkward young man struggling to find himself. They become best friends even as Denim finds his own girlfriend, Meghan (Mandy Moore lookalike Nicole Gale Anderson). While Nikki struggles with her music, her lost love and a house of unwelcoming roommates, Denim struggles to convince Meghan that he and Nikki are just friends. Friendship is a huge question in this film. When we break up and say we want to be “just friends”, do we really mean that? WHAT do we mean by that? What does it mean to be Best Friends? Can a man and a woman EVER be “just friends”? Ever? Even if one is a lesbian? Zelda Williams (daughter of Robin) is entrancing as the dark Nikki, and exquisitely portrays what it means to have a hurt heart. Zachary Booth is cringingly awkward as Denim struggles to figure the difference between love and friendship. There is a point where it looks like the film is going to bring us to the easy, happy ending, but writer/director Brett Allen Smith does not let that happen. This is not a romantic film, it is a real story about the very real heartbreak of friendship. It is a film that will make you feel something, passionately. Interview with director Brett Allen Smith.